A woman is under arrest tonight following the death of another woman in Rotherham. Detectives launched an investigation after emergency services were called to a property in Cedric Crescent, Thurcroft, just before 8.50pm after reports of an 'altercation'. A woman, believed to be in her 20s, was found to be in cardiac arrest. She was treated by medics at the scene but was pronounced dead a short time later. Police officers remain at the scene and a cordon is in place as officers carry out enquiries to try to establish the exact circumstances surrounding the woman’s death. 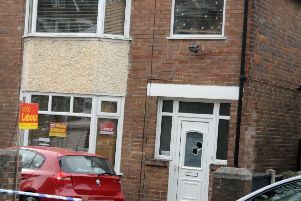 In a statement, South Yorkshire Police said: "A 39-year-old woman has been arrested in connection to her death and is currently in custody." Anyone with information should call South Yorkshire Police on 101 or Crimestoppers, anonymously, on 0800 555111 and quote incident number 943 of February 13.